Each month I help out in my daughters classroom. I typically choose to do a craft with the kids, though I’ve also read to them. I love being able to stop in and get to know the kids that my daughter spends the day with and I always have fun working with them. 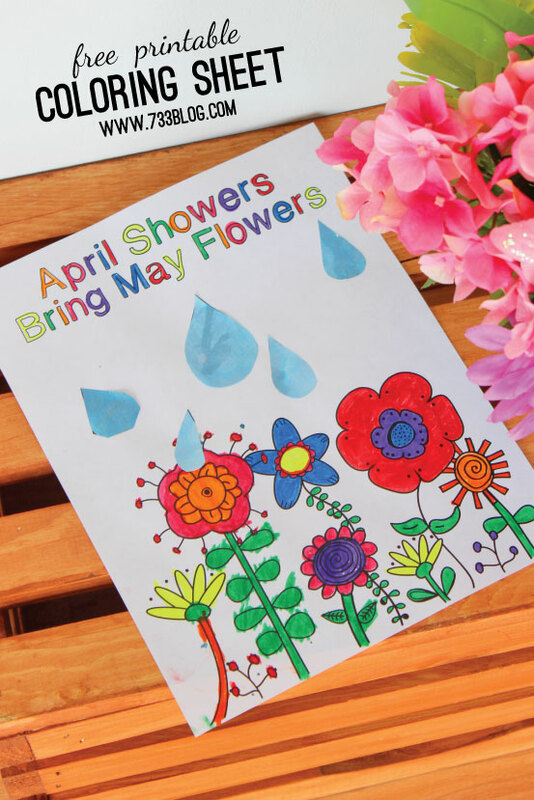 I created this April Showers Bring May Flowers Coloring Sheet for this month’s craft. DIRECTIONS: First, paint the raindrops. We are going to being painting with ice (find out how!). We’re going to use the blowing with straws method. It makes a cool marble effect and the kids have fun blowing the paint around. Once the raindrops are painted, set them aside to dry and either paint or color the flowers. Once that is complete, cut out the raindrops and glue them onto the flower sheet. This is a great activity for teachers to use with a weather or Spring lesson plan. My daughter and I did a test run and she really enjoyed it and kept saying how she can’t wait for her friends to try. I would love to know if you give this a try! 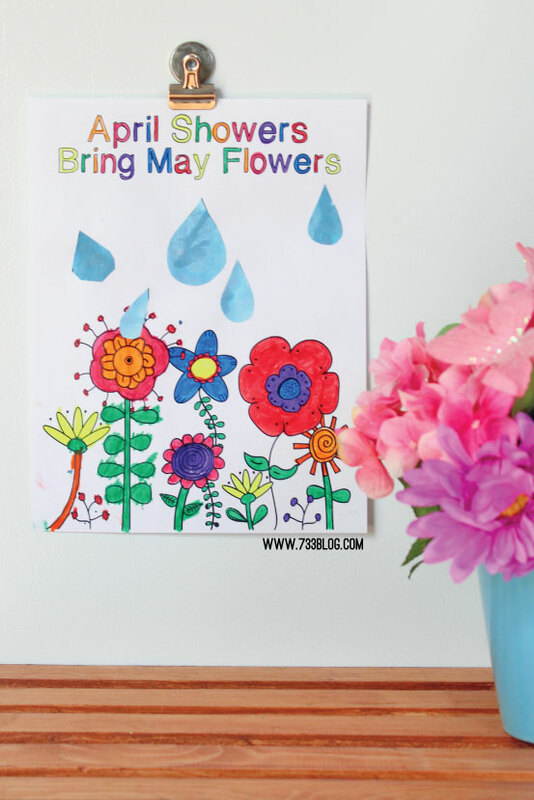 Download the April Showers Bring May Flowers Coloring Sheet Printable. For personal use only. Do not alter.